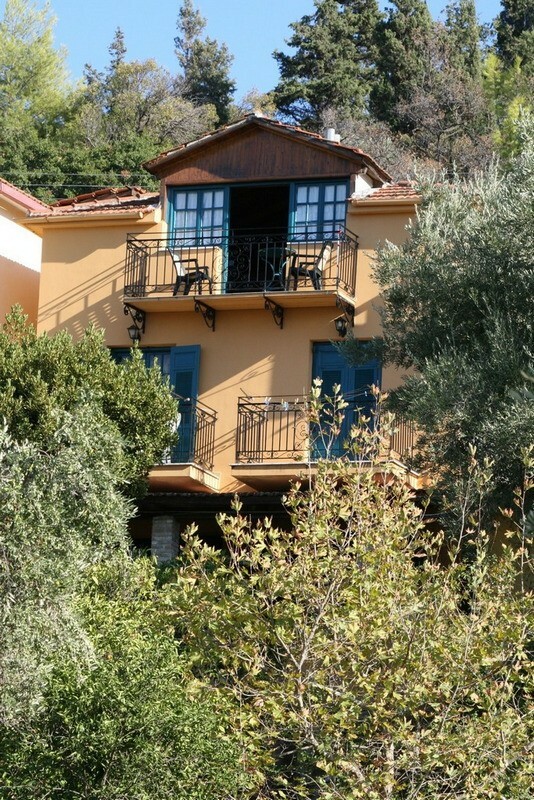 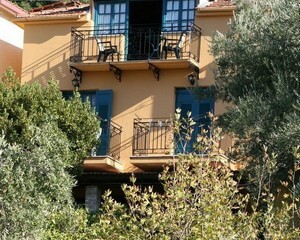 Elia Vila and Lithari Studios are situated in old Alykanas on the North-East side of Zakynthos. 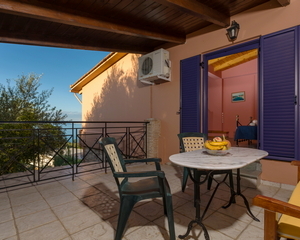 17 klm from the airport and 15 klm from the main town of Zakynthos, Alykanas' gently curving cove looks out over glass-like waters to the coastline of Kefalonia. 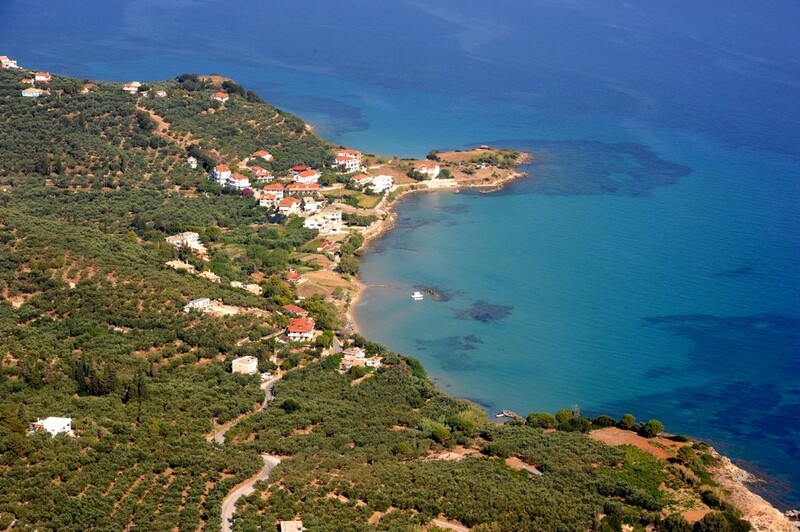 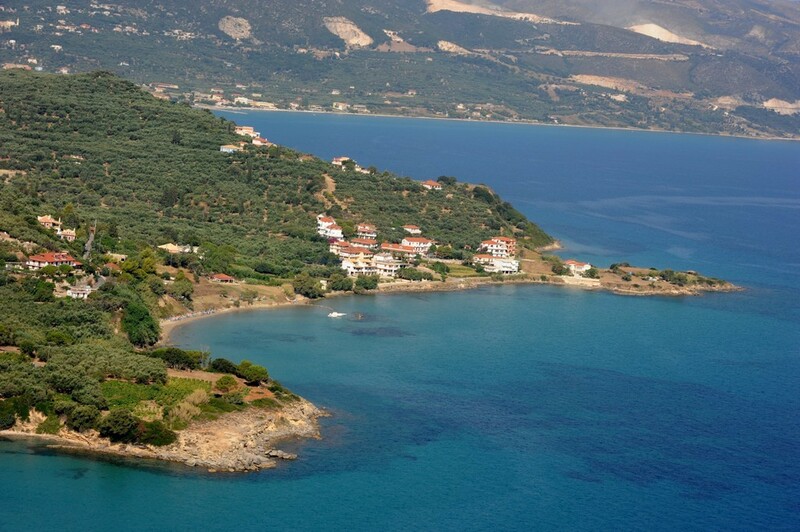 An area of particular natural beauty make Alykanas an ideal retreat for relaxing holidays. 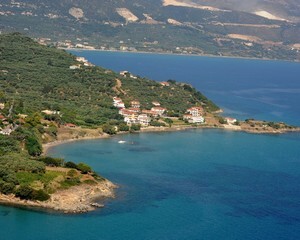 The village exudes typical Greek charm and a very friendly atmosphere, which entices people back here year after year. 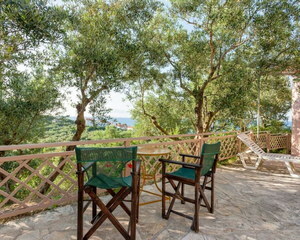 The unique combination of olive groves hillsides, fruit orchards, and deep blue sea offer the visitor a chance to relax in an atmosphere of tranquility. 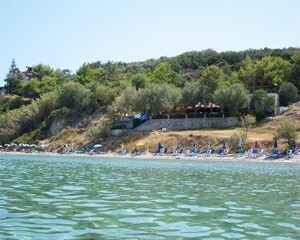 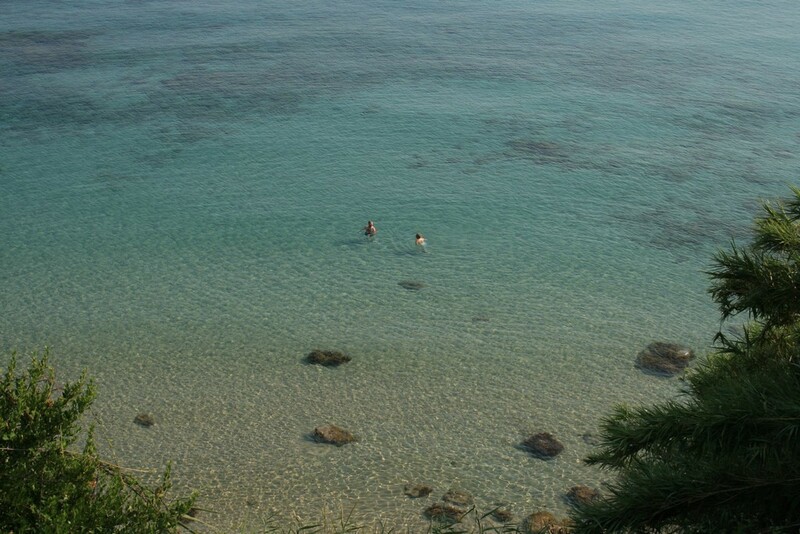 The sandy beach is peaceful and relaxing with crystal clear waters of the Ionian Sea, and due to its unique location never becomes crowded. 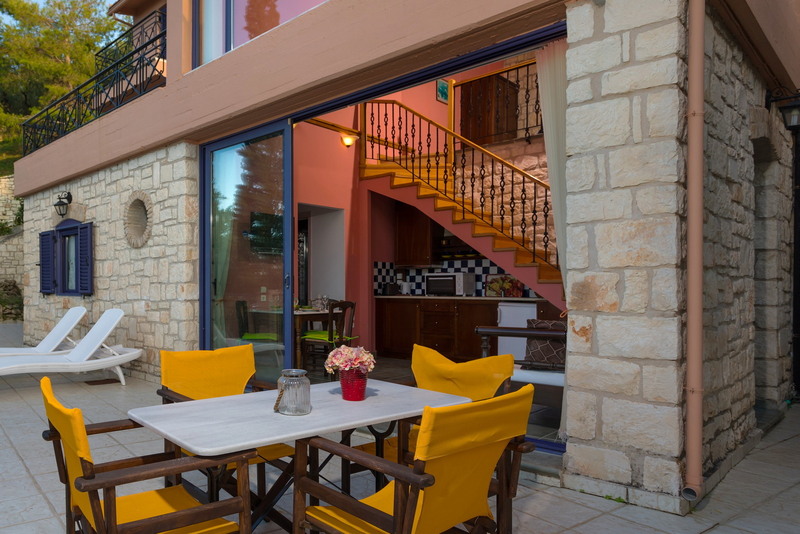 The area is ideal for country walks, bicycle rides and there are a mini market and two restaurants with local and international cuisine.A 15 minute walk (1 Klm) takes you to the New Alykanas where you can find plenty of restaurants, bars, super markets and local shops to explore. 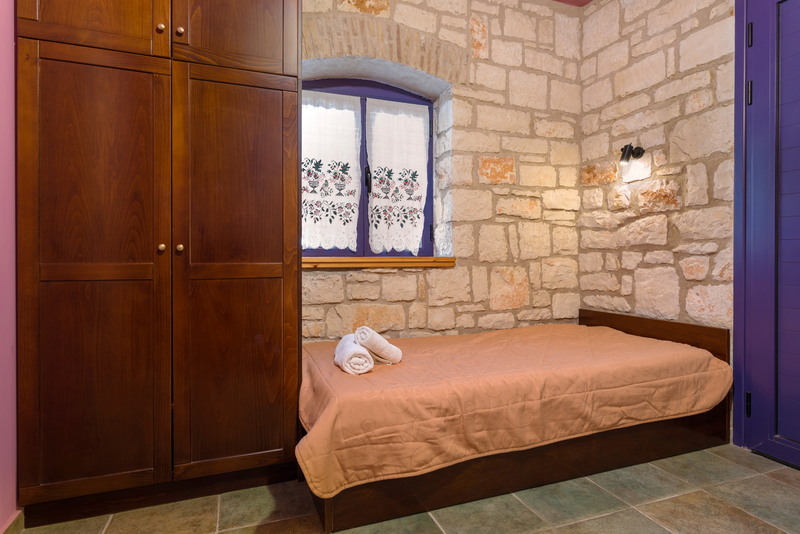 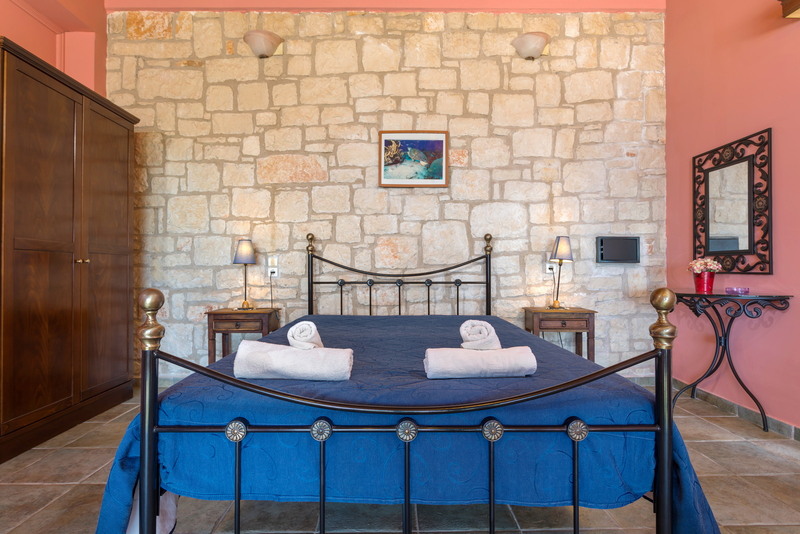 In the traditional old Alykanas are situated our two resorts the Elia Vila and the Lithari Studios that offer the visitor a chance to relax in an atmosphere of tranquility. 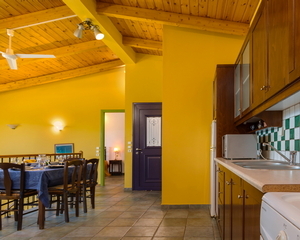 Enjoy really authentic, peaceful holidays in these resorts. 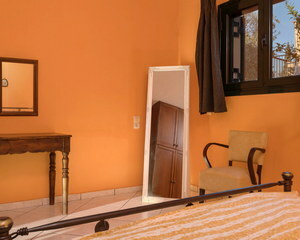 Choose what it is best for you and for your needs! 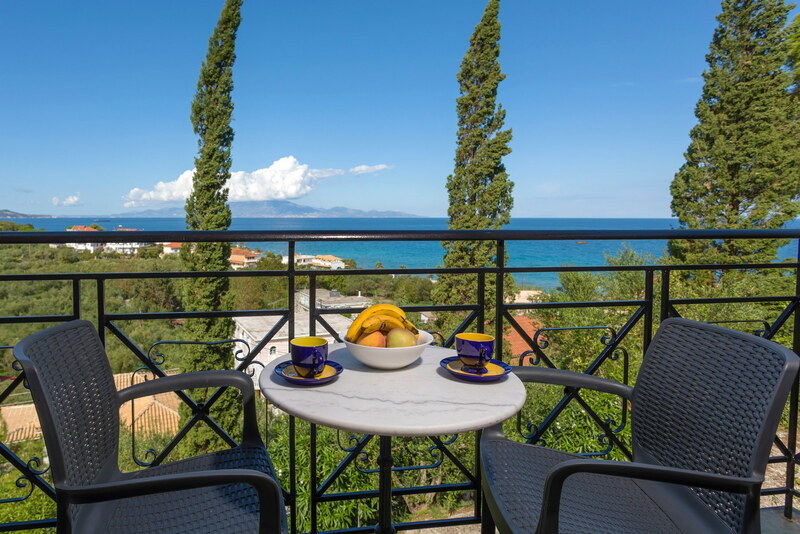 A blend of traditional Greek character and modern architecture make these two resorts an ideal retreat for families and couples looking to unwind by day and enjoy some spirited evenings. 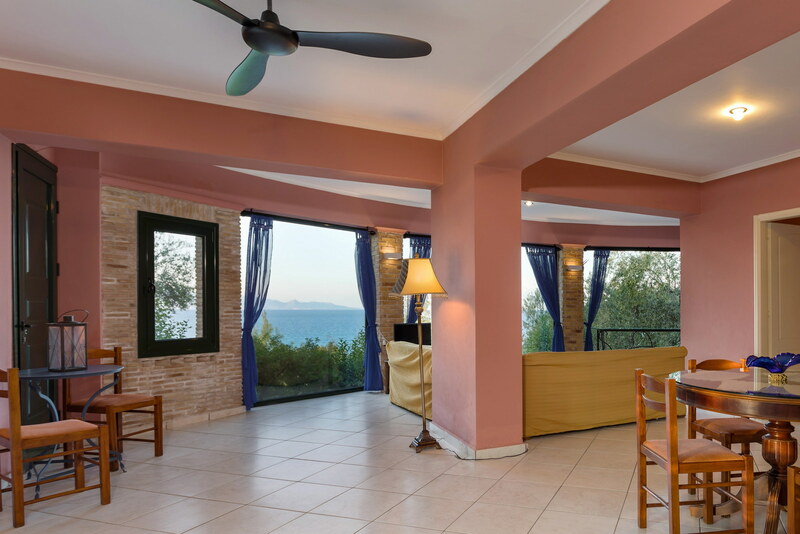 This recently built Vila consists of two maisonettes which are built in an area of 2 acres of natural beauty amongst vast olive groves and they are located just 150 meters from the sandy beach of Alykanas (3 minute walk). 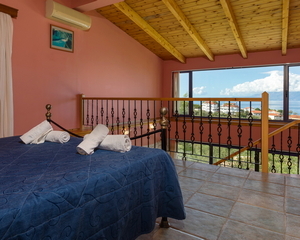 The quiet scenic resort is ideal for families and couples. 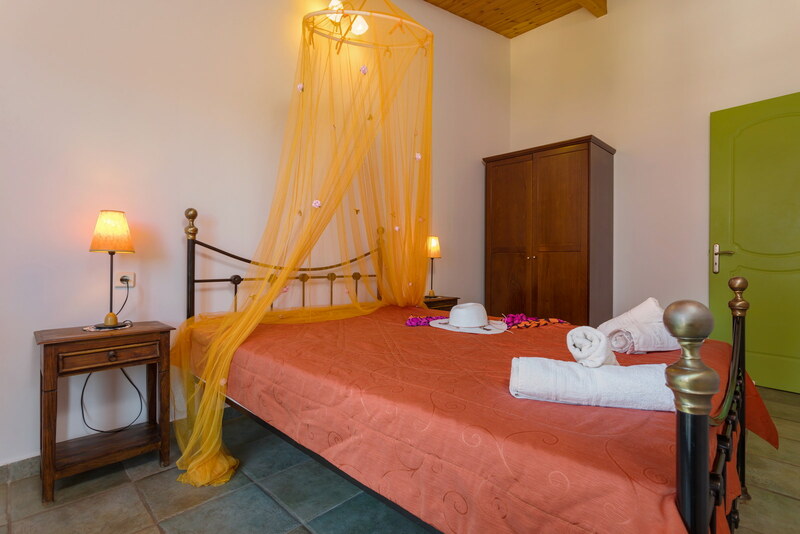 An exquisite setting for relaxation and privacy. 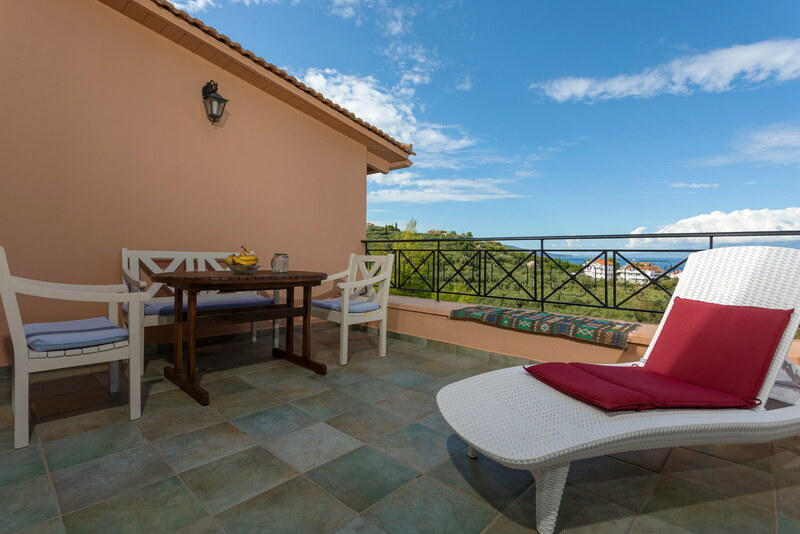 The vast green surroundings of the apartments, the wonderful sea views, the intimacy of our complex and our wonderful hospitality will assure you a relaxing and enjoyable holiday. 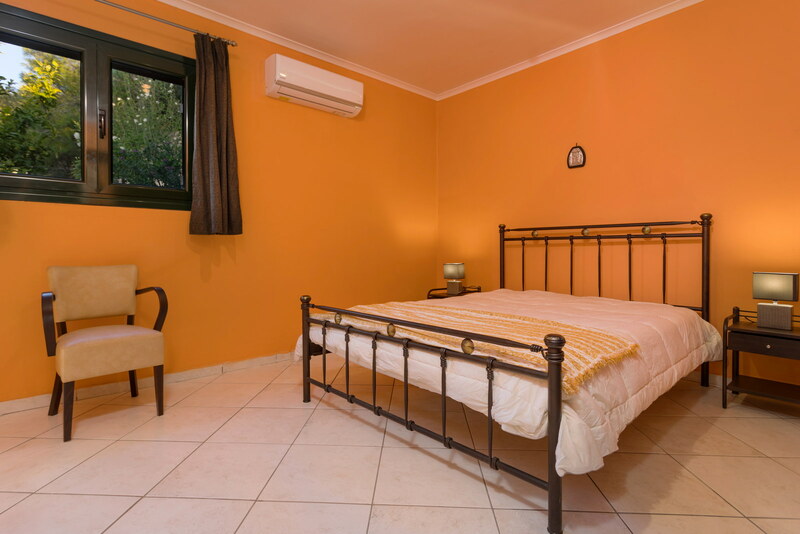 All accommodation is beautifully decorated and furnished, have fully equipped kitchens, large verandas and they are air-conditioned. 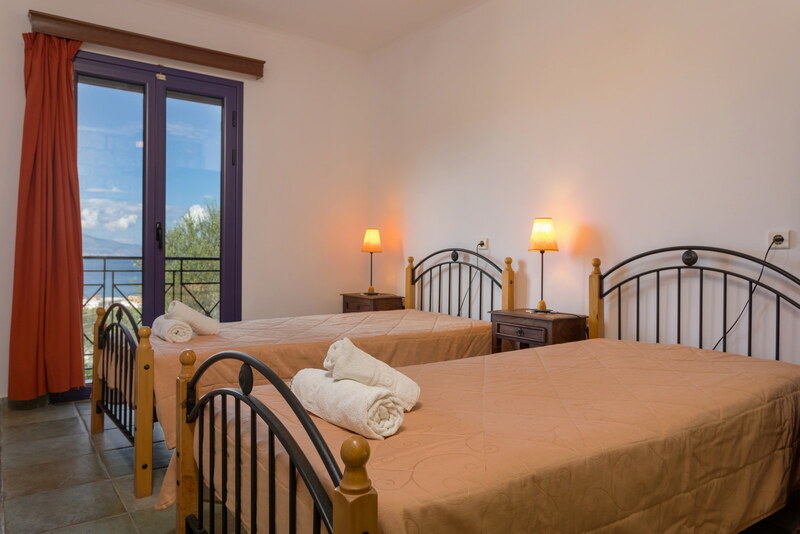 Each apartment is suitable for 4-5 persons and consists of two separate bedrooms one with double bed and the other with two singles. 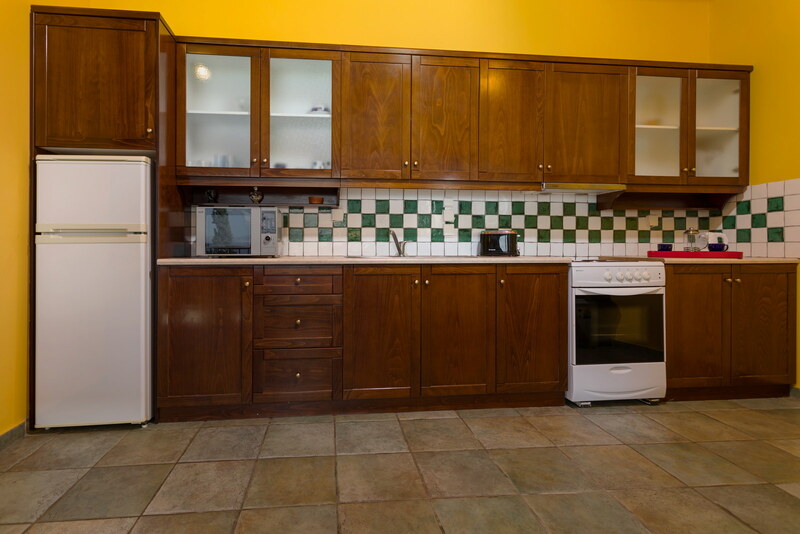 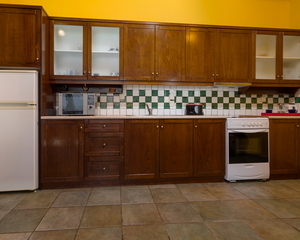 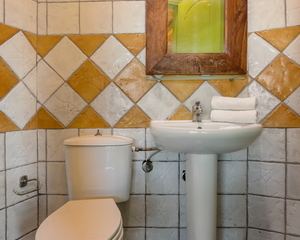 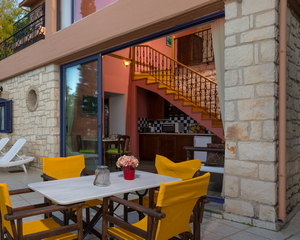 They have spacious lounge area with sofa beds, fully equipped kitchen with all utensils including washing machine, oven, cooker, kettle and fridge, and private bathroom with bath and shower. 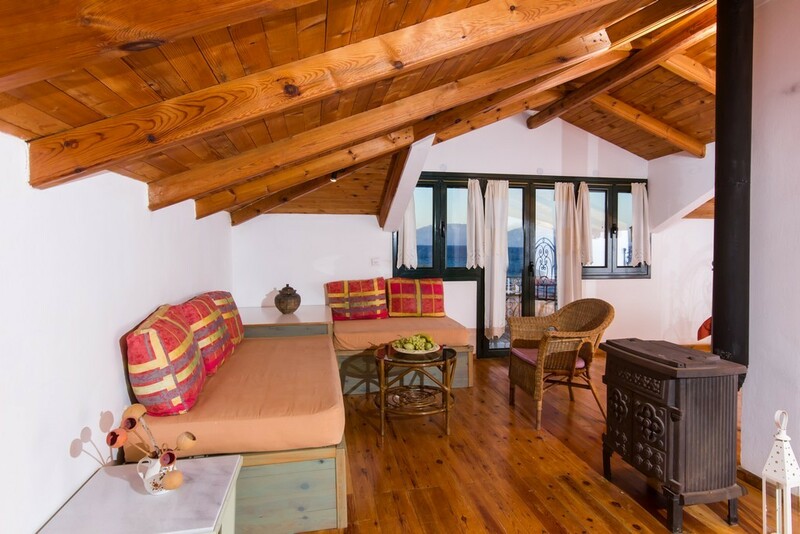 A wooden staircase leads upstairs to the gallery style bedroom and overlooks the ground floor. 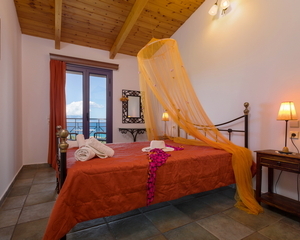 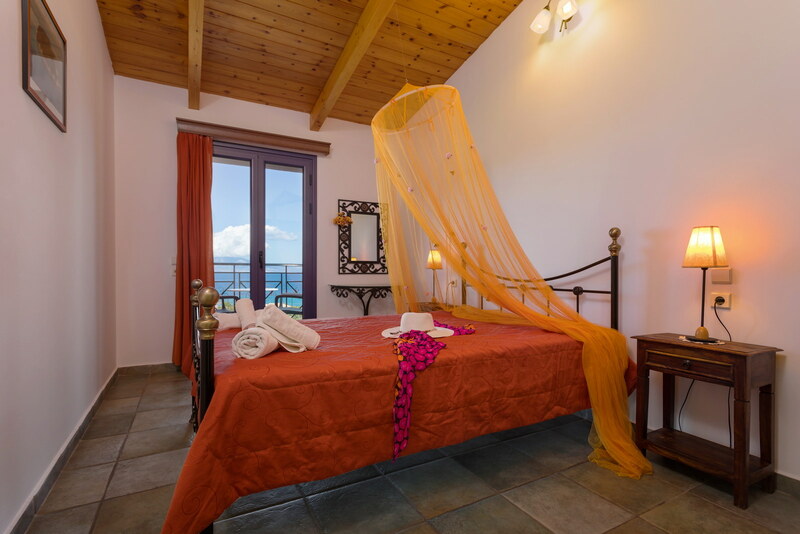 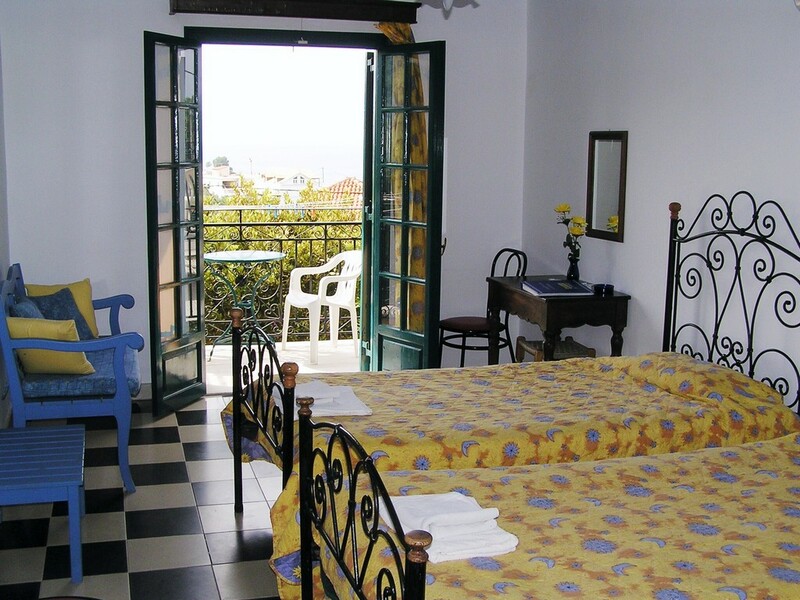 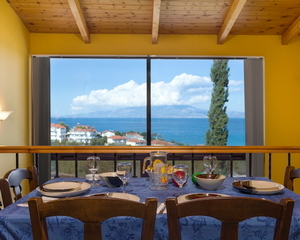 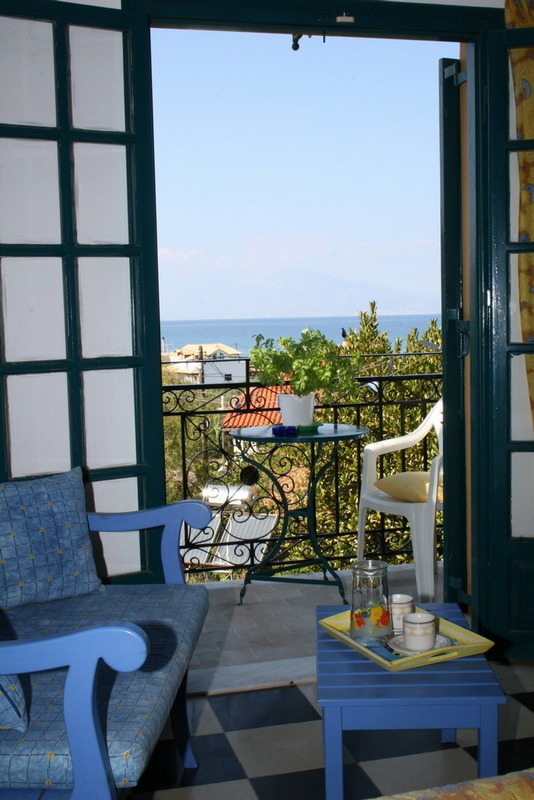 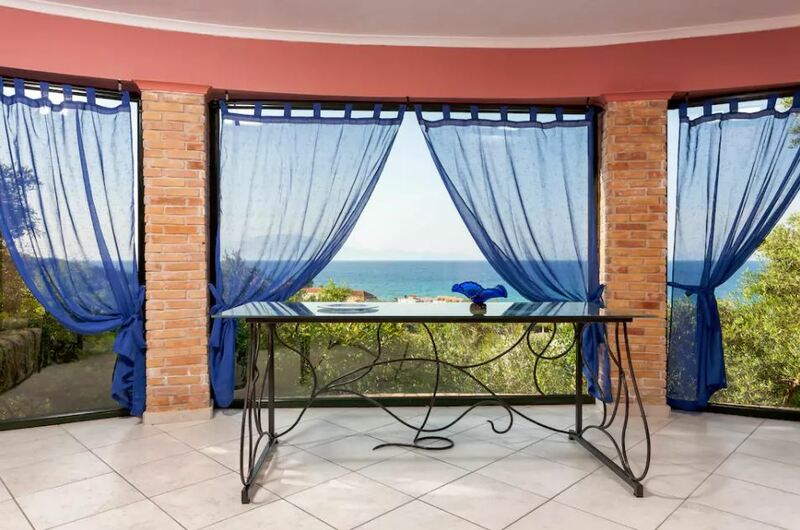 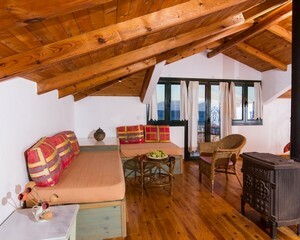 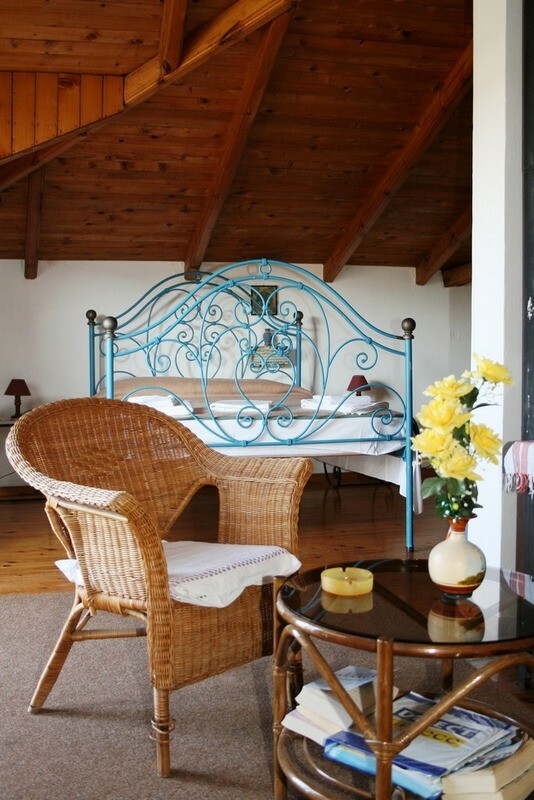 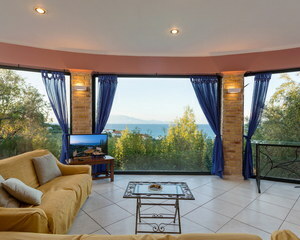 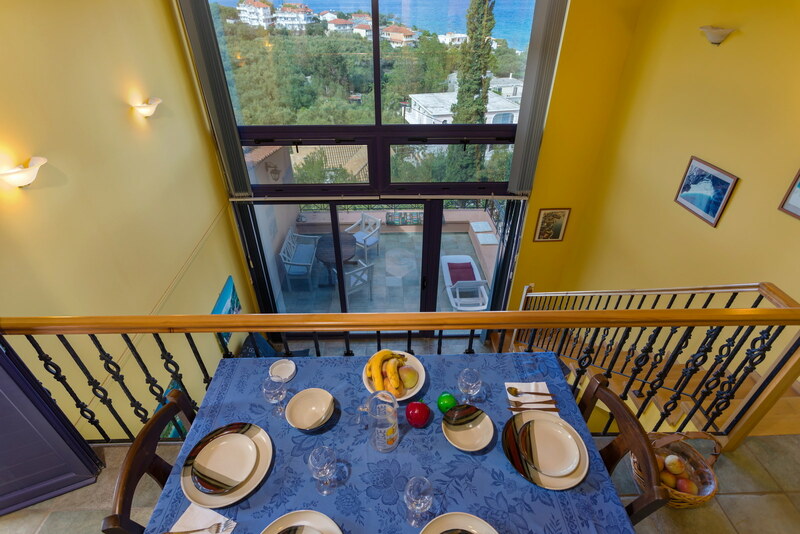 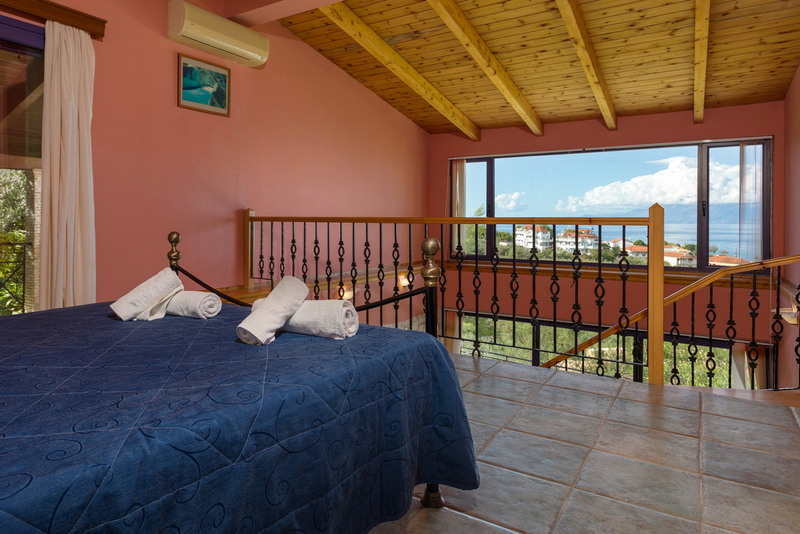 All rooms have magnificent views overlooking the sea. 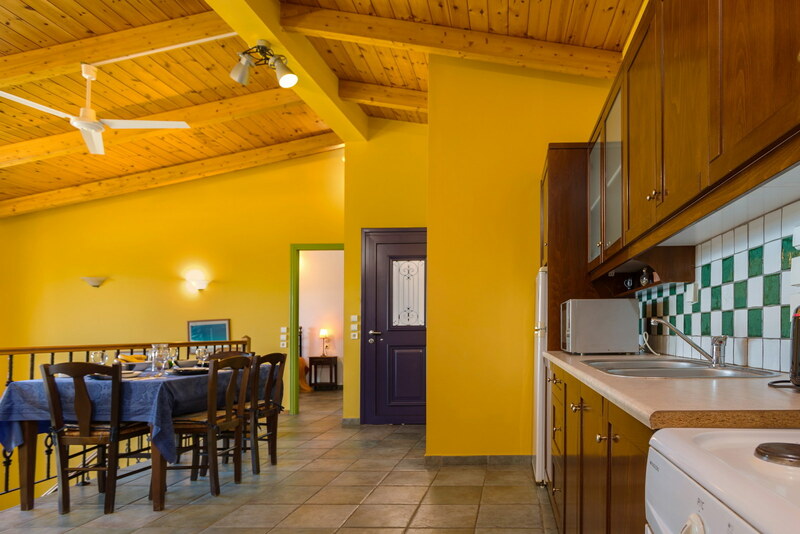 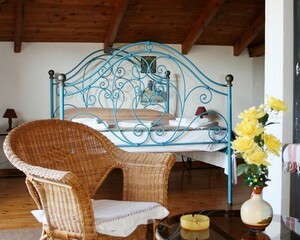 These studios are designed in unique traditional greek-island architectural style surrounded by colourful gardens, fruit orchards, and olive groves. 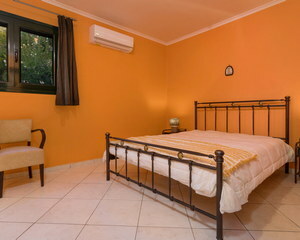 All studios are air-conditioned and each one can accommodate 2 people with room for a third bed if required. 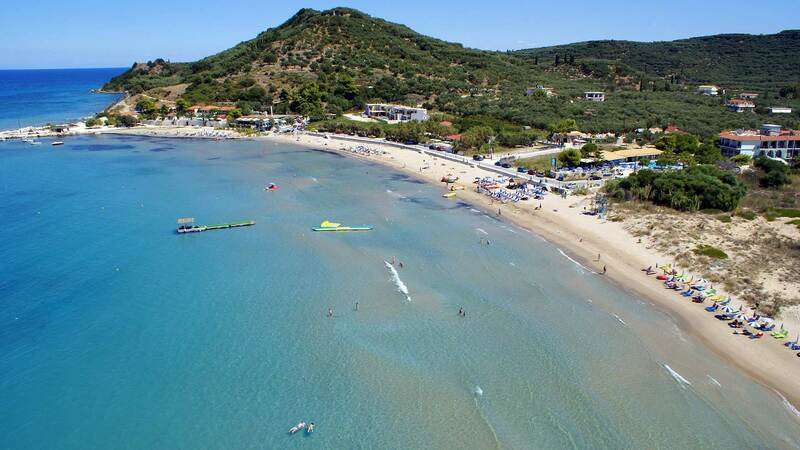 They are located just 80 meters from the sandy beach of Alykanas (1 minute walk) in a quiet and relaxing area away from traffic and passing cars. 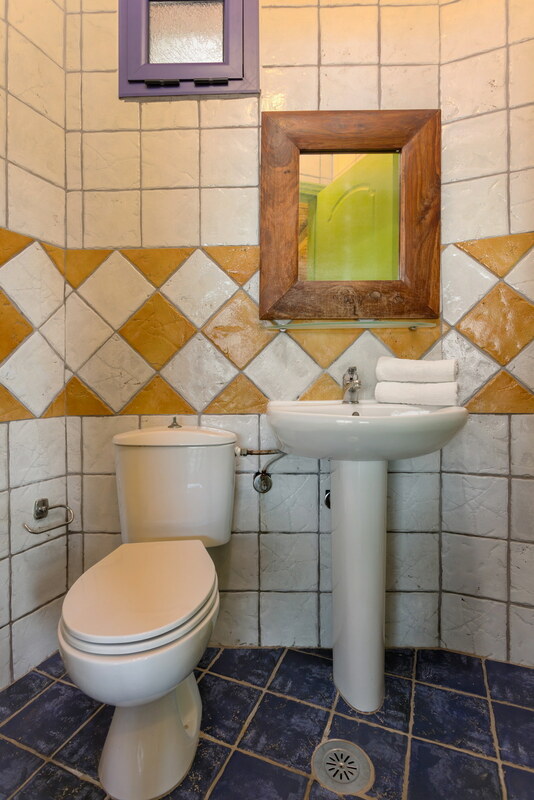 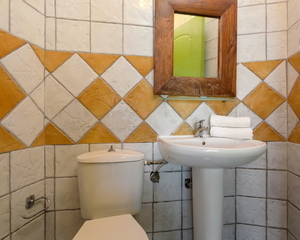 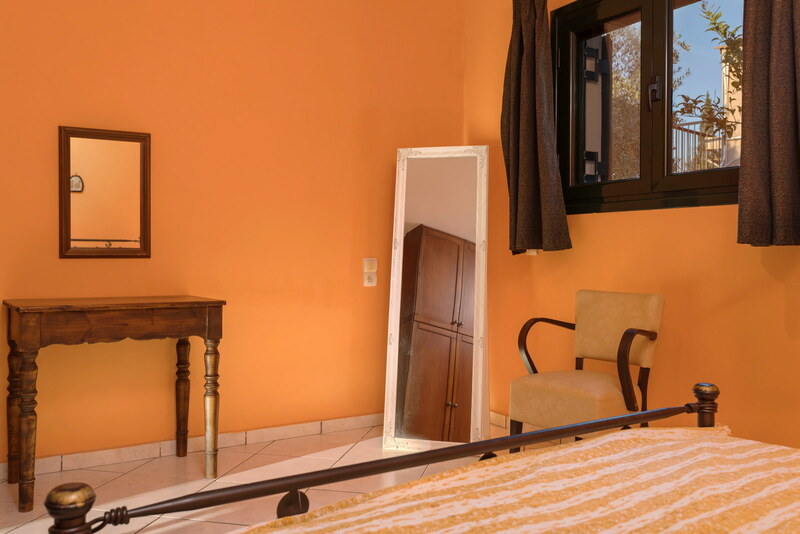 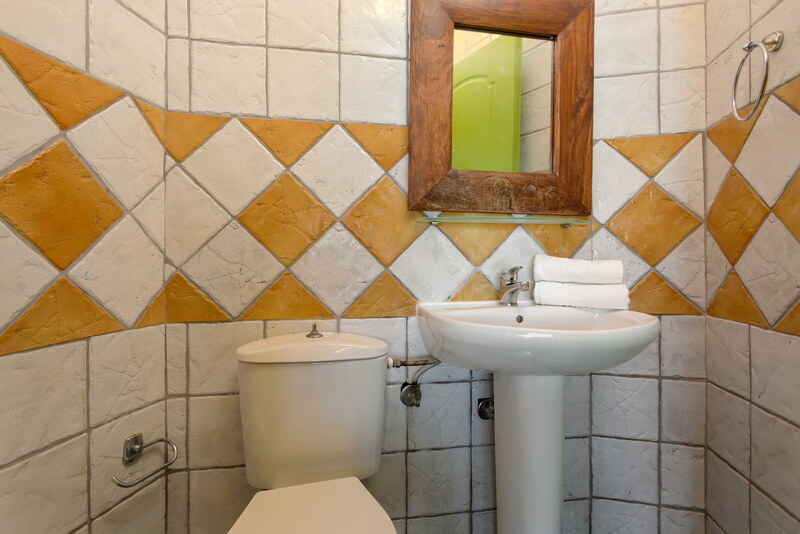 These studios have been constructed along the lines of the local traditional architecture and have been tastefully and ardently decorated, so as to make you feel like home. 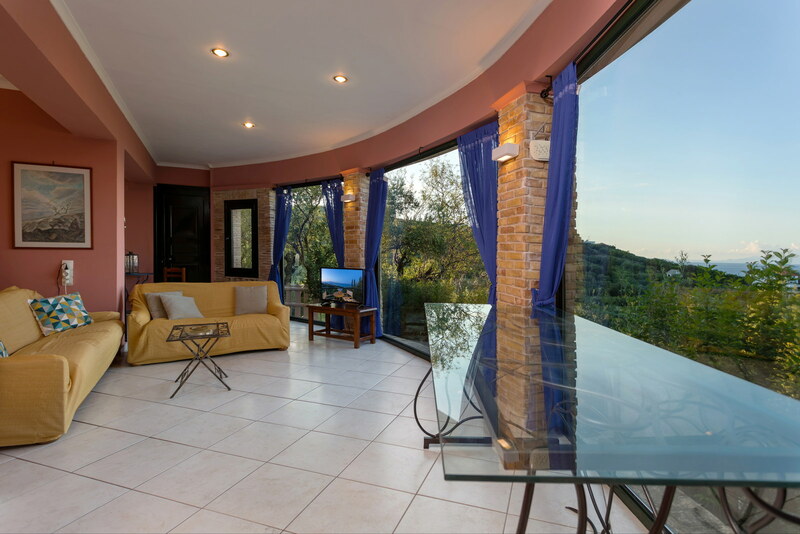 This villa is a 90 square meter space with a private bedroom and two beds in the leaving room which makes it an ideal space for a family with 1-2 children. 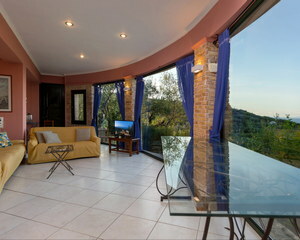 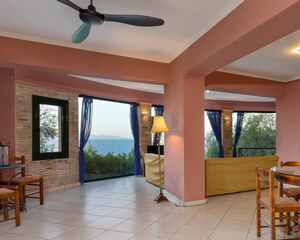 The Villa house with its private veranda as well as a 2 acre hill side surrounding Olive fields. 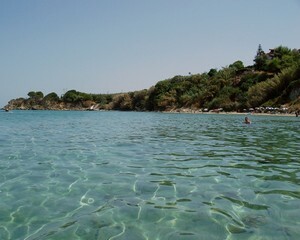 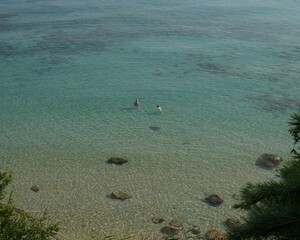 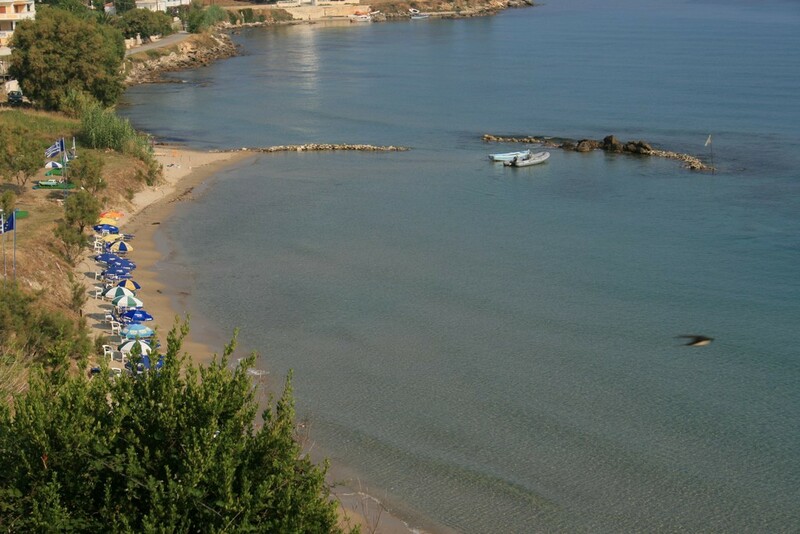 In a 150 meters distance there is the old Alykanas beach with crystal waters. 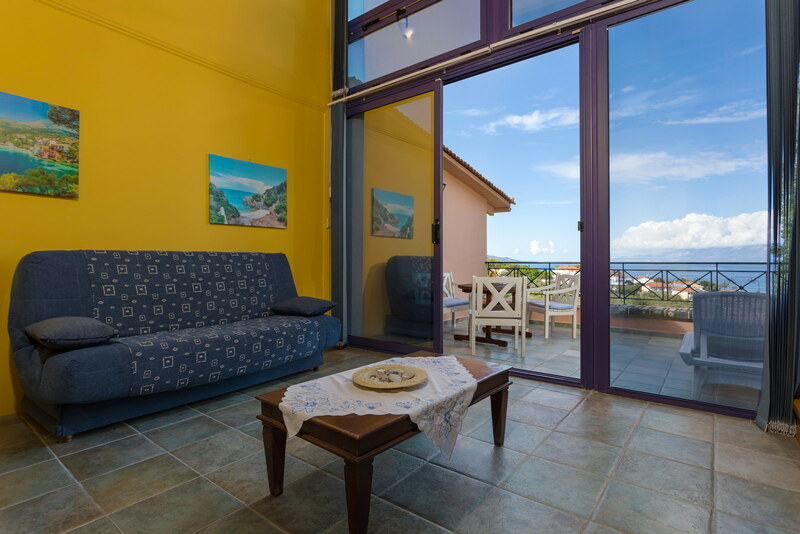 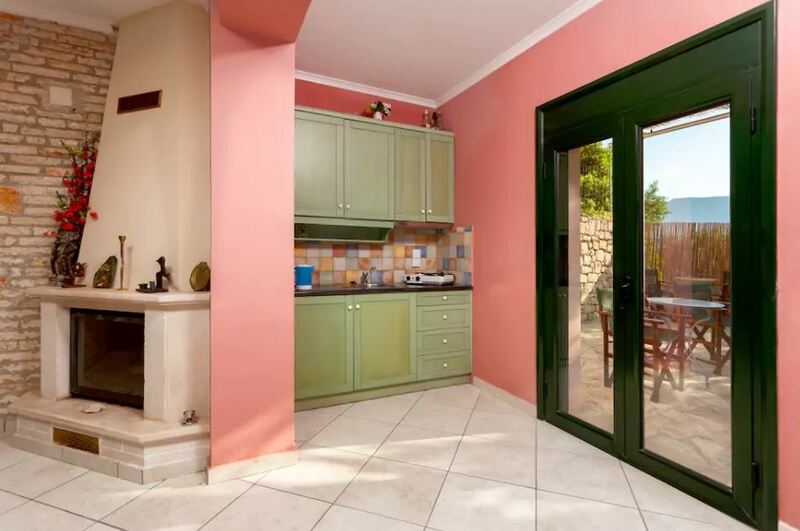 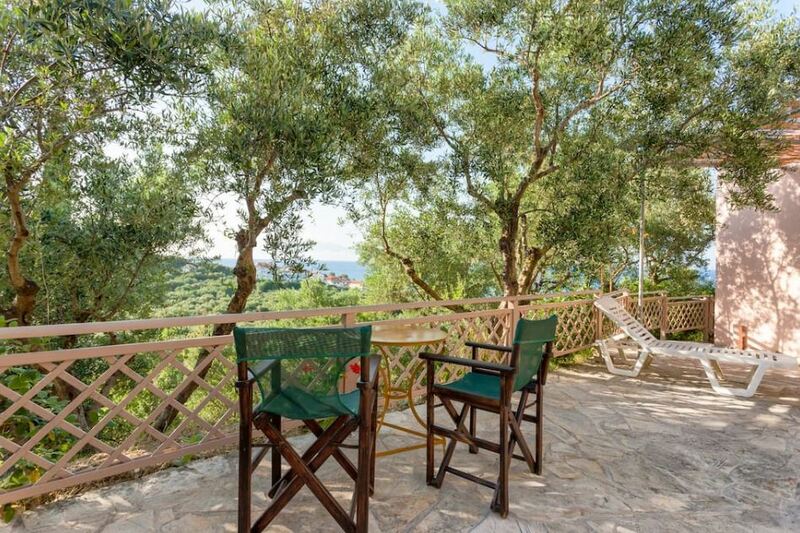 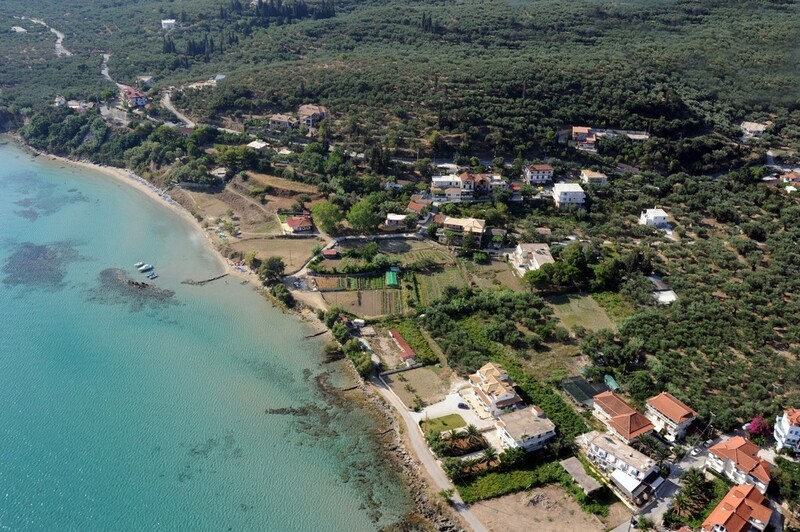 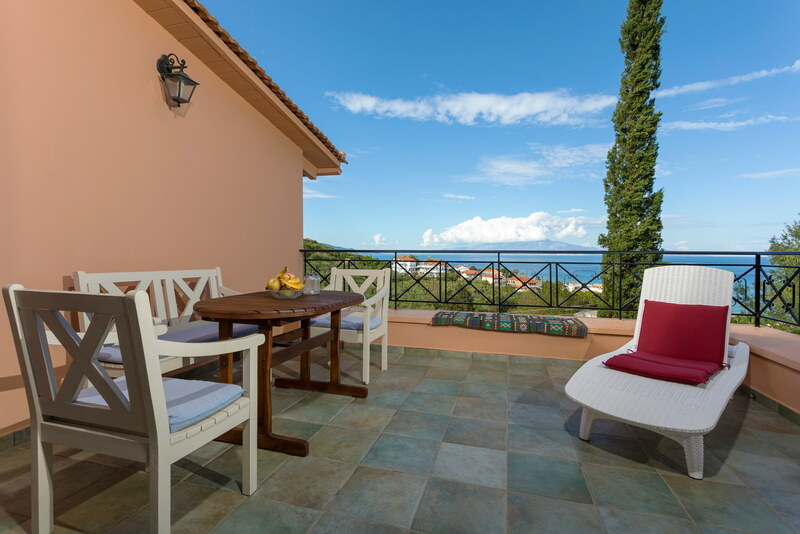 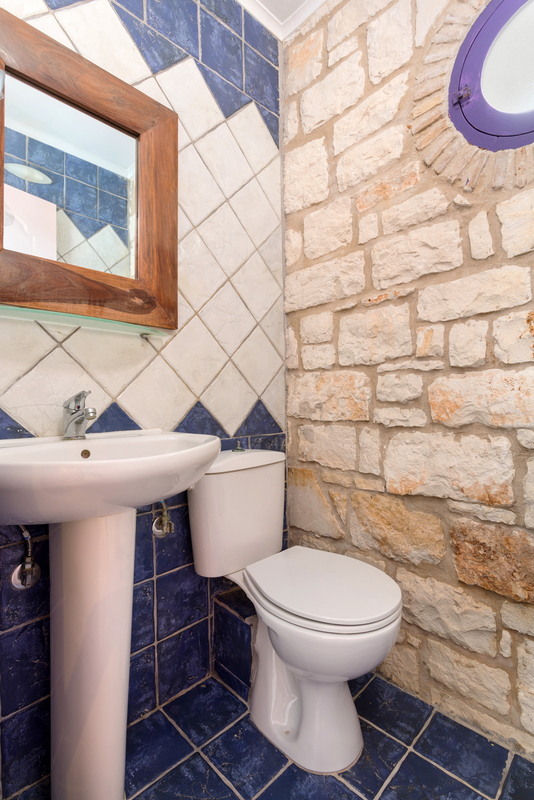 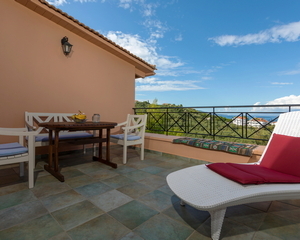 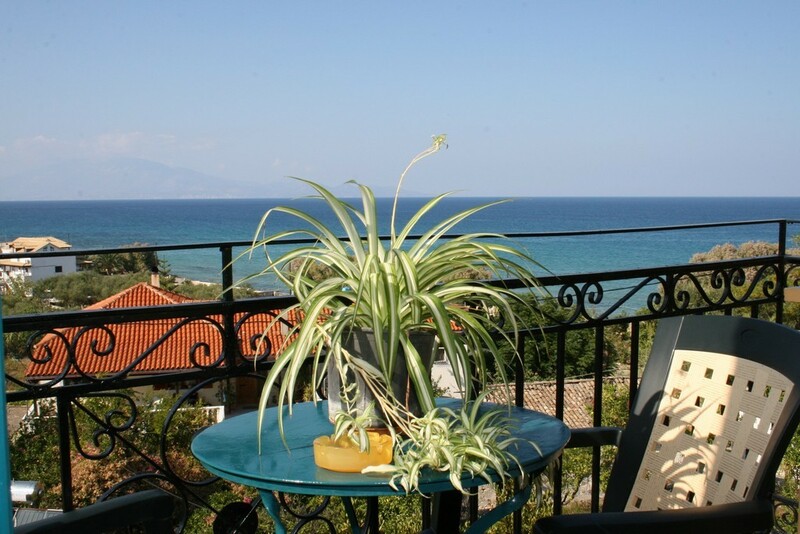 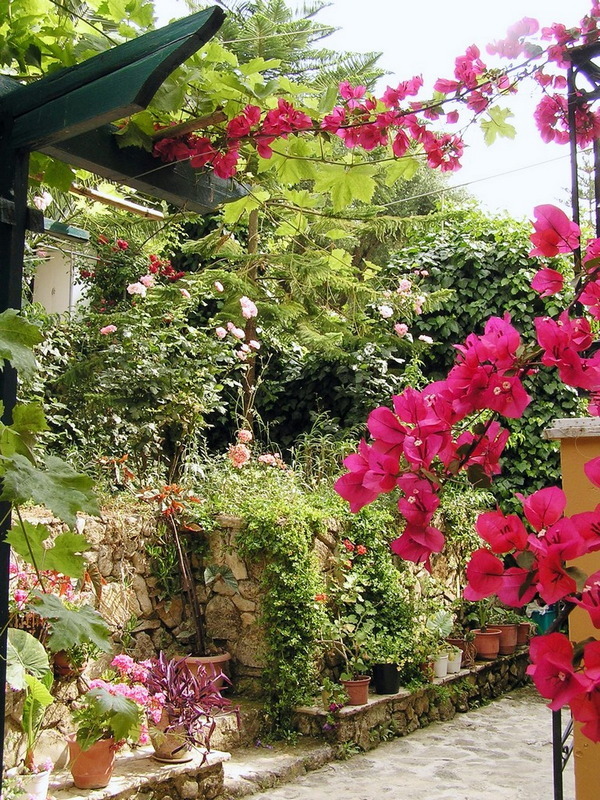 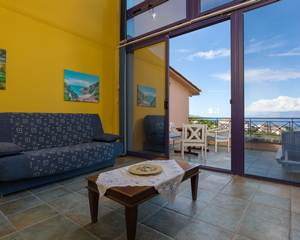 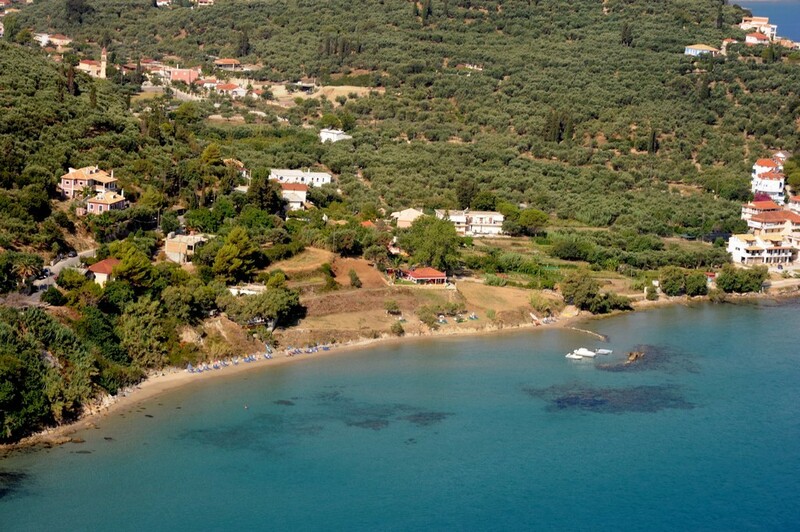 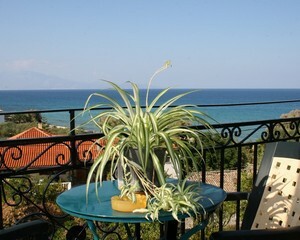 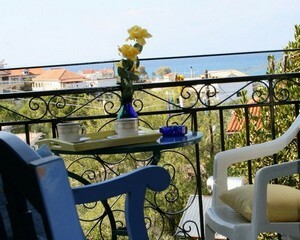 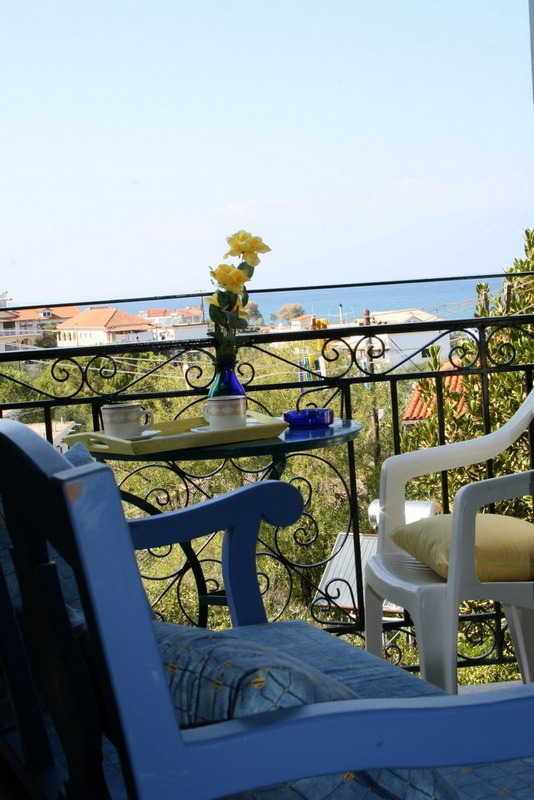 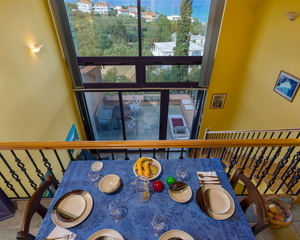 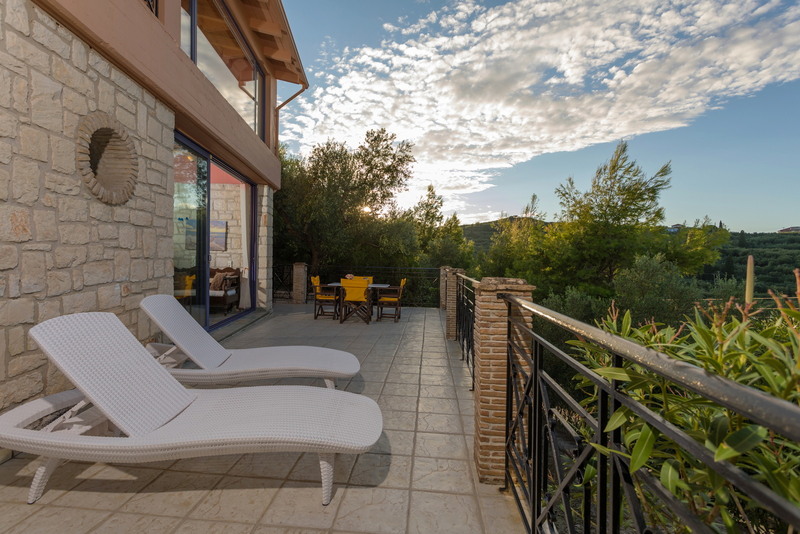 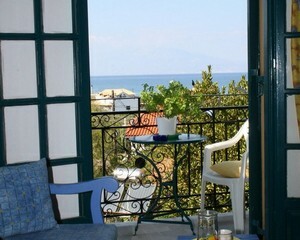 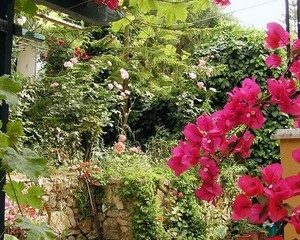 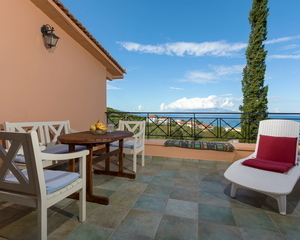 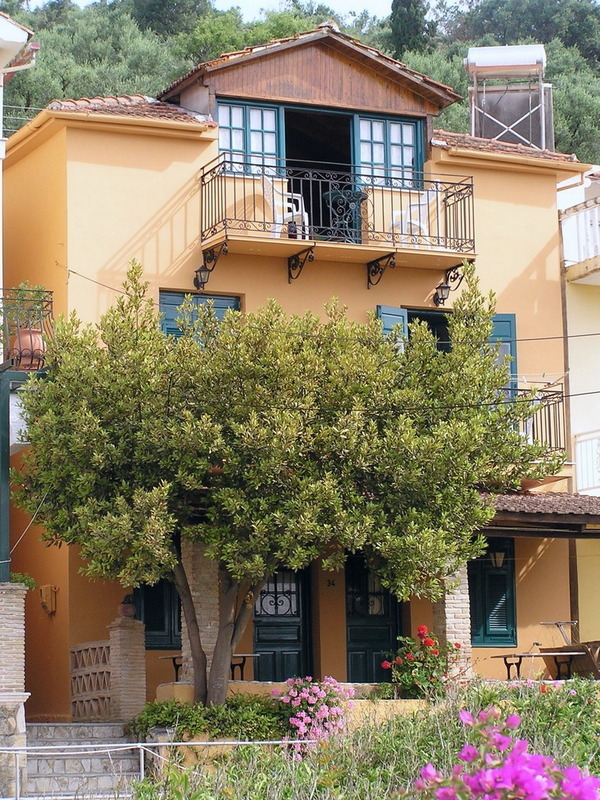 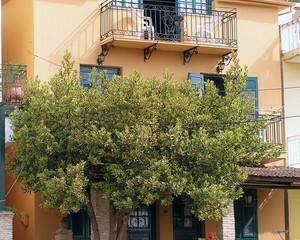 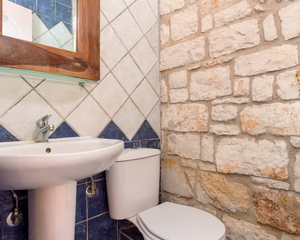 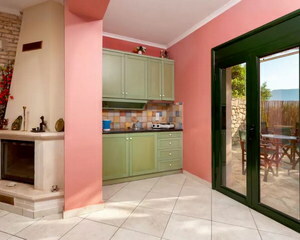 This One bedroom Villa is situated in old Alykanas on the North-East side of Zakynthos. 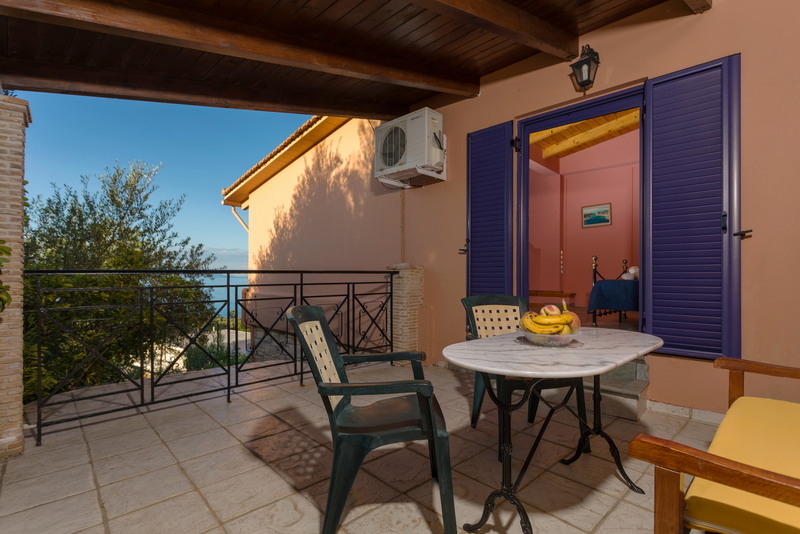 17 klm from the airport and 15 klm from the main town of Zakynthos, Alykanas' gently curving cove looks out over glass-like waters to the coastline of Kefalonia. 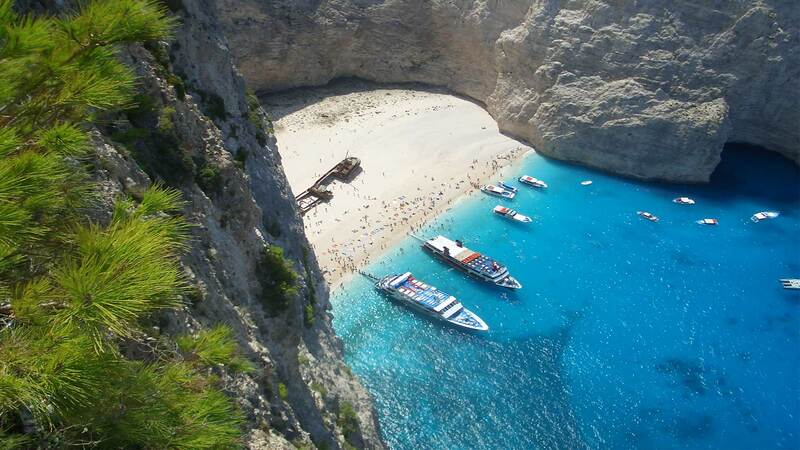 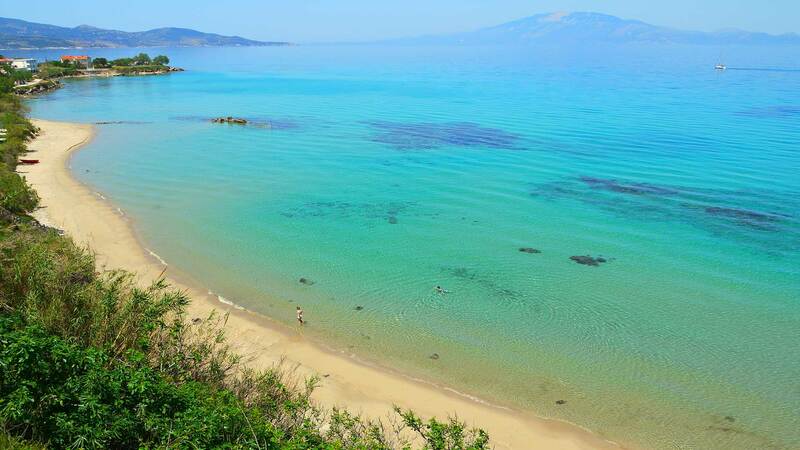 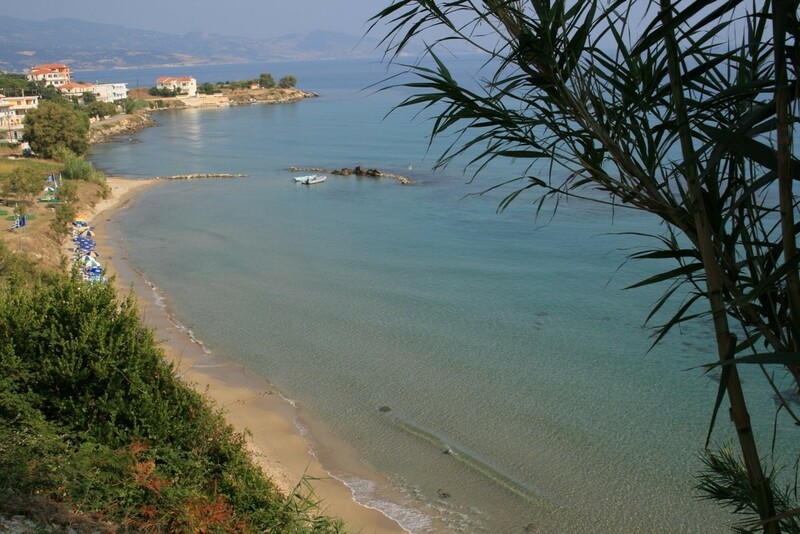 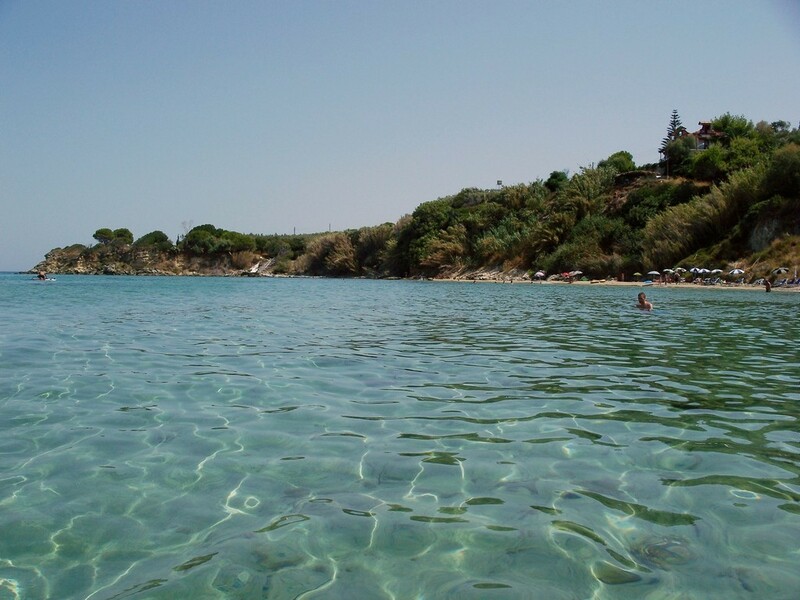 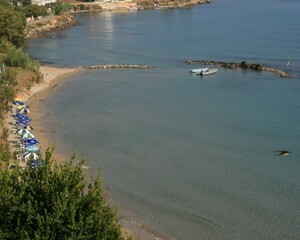 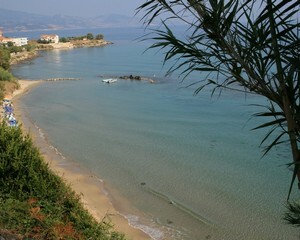 Alykanas Beach ZanteAn area of particular natural beauty make Alykanas an ideal retreat for relaxing holidays. 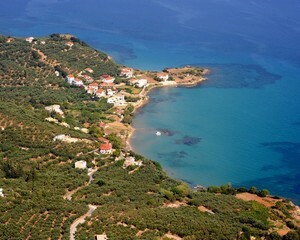 The village exudes typical Greek charm and a very friendly atmosphere, which entices people back here year after year. 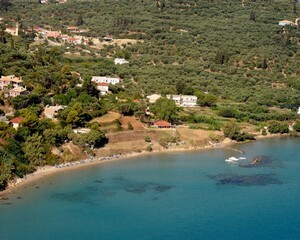 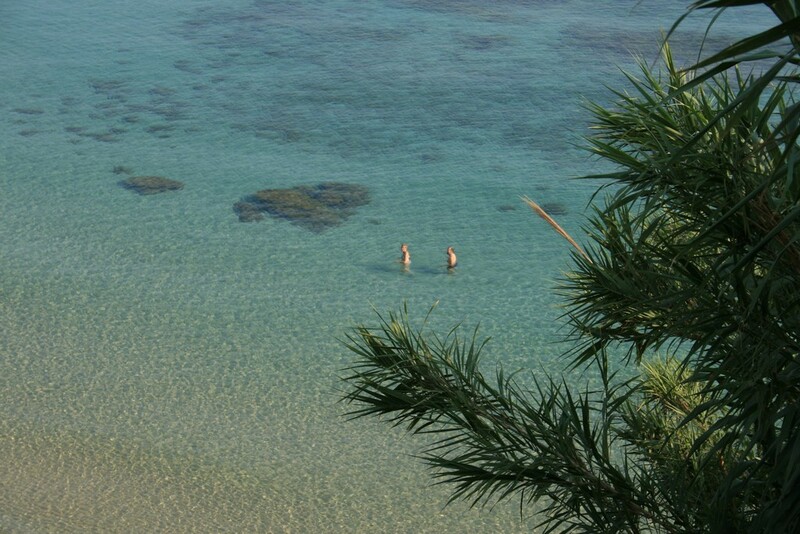 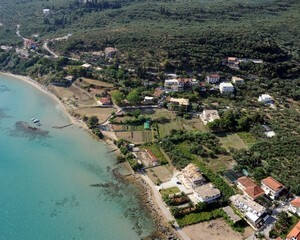 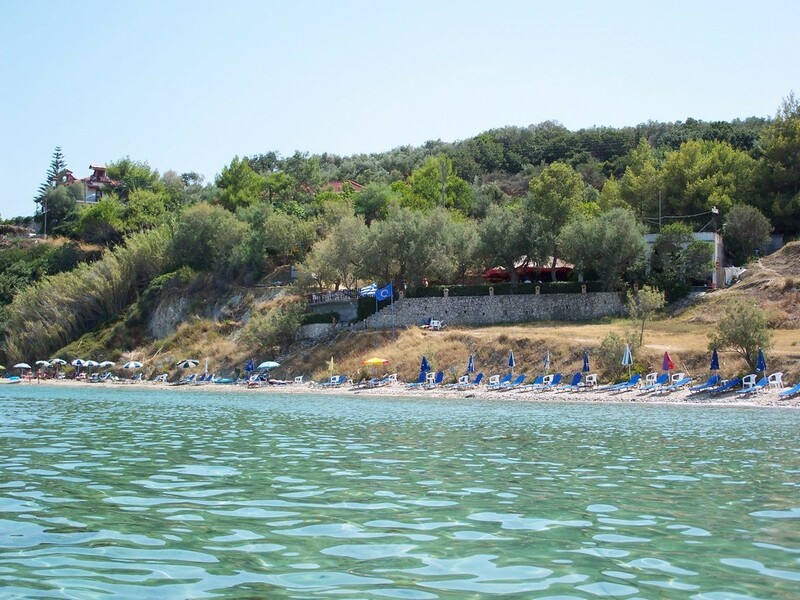 The unique combination of olive groves hillsides, fruit orchards, and deep blue sea offer the visitor a chance to relax in an atmosphere of tranquility.>The sandy beach is peaceful and relaxing with crystal clear waters of the Ionian Sea, and due to its unique location never becomes crowded. 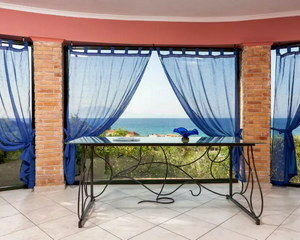 Please, feel the form and one of our booking manager reply to you asap! 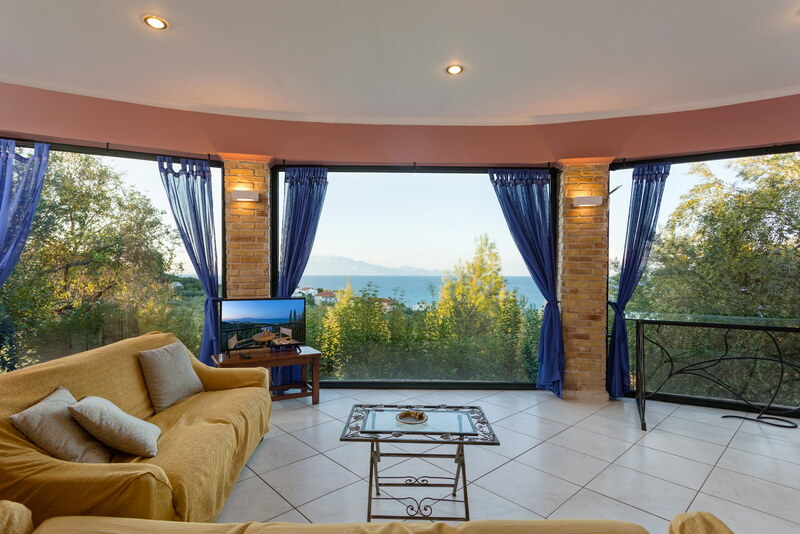 Old Alykanas Villas is a family bussiness since 1988, with big expierence, our goal is satisfying customers across the globe. 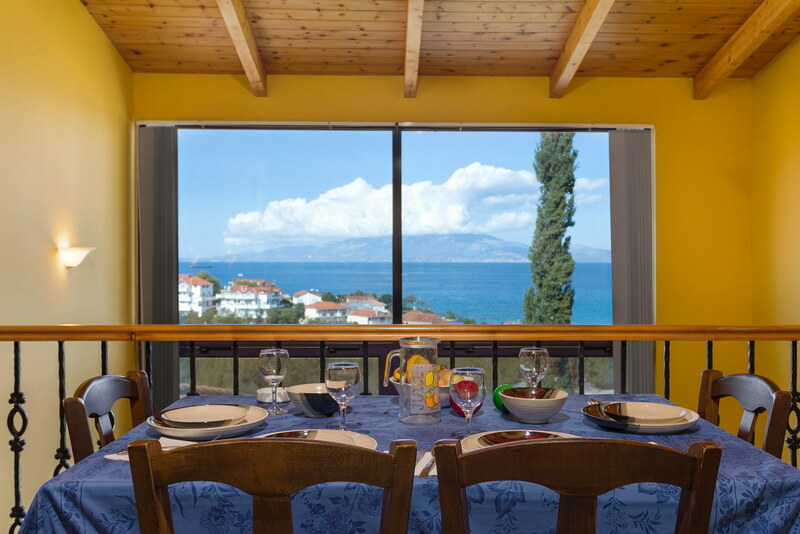 The hospitality and the untouched beauty of the scenery creates unforgettable memorries.